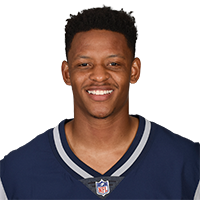 Analysis: Anderson joined New England's practice squad after being waived by the Texans during final roster cuts. With tight end Jacob Hollister (hamstring) on injured reserve, Anderson will provide depth behind Rob Gronkowski. Analysis: Anderson, who was let go by the Texans last Friday, joins the Patriots as the team's season opener against his former team approaches. Aside from potentially offering insight into some of Houston's tendencies on offense, the 25-year-old will bolster the Patriots' tight end depth behind Rob Gronkowski. Anderson logged 25 catches for 342 yards and a TD in 15 games last year. Analysis: Anderson, despite setting career highs in catches (25), yards (342) and snaps (441) with the Texans in 2017, was unable to secure a spot on the Texans' 53-man roster. Houston drafted a pair of tight ends in the 2018 NFL Draft -- Jordan Akins (third round) and Jordan Thomas (sixth round) -- and the team seems confident enough in its rookies to back up starter Ryan Griffin. Anderson will become an unrestricted free agent if he goes unclaimed on waivers. Anderson will be challenged to be the top backup to Ryan Griffin at tight end, Jon McClain of the Houston Chronicle reports. Anderson did not catch any of his three targets in Sunday's 45-7 loss to the Jaguars. Analysis: For a third straight week, Anderson was the lone healthy tight end available, but the three targets were his fewest opportunities during that run and fourth on the team overall in Sunday's loss. He'll finish out the season as the starting tight end, but there's not much here for fantasy owners in league playoffs due to shaky quarterback play from T.J. Yates (12-for-31 passing, 48.9 quarterback rating). 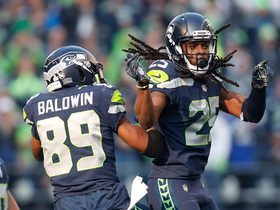 Anderson caught two of six targets for 16 yards in Sunday's 26-16 loss to the 49ers. Analysis: Anderson is the last tight end standing after Ryan Griffin and C.J. Fiedorowicz have ended up on injured reserve with concussions. The second-year tight end has been targeted 18 times (seven catches) for 95 yards and a touchdown over the last two games. He'll be the starter from here on out, but with shaky quarterback play, Anderson's an iffy proposition for Week 15 against the Jaguars' top-ranked passing defense. 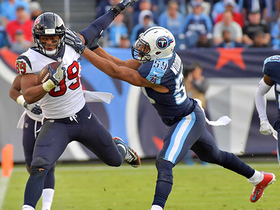 Anderson is in line to start Sunday's game against San Francisco after the Texans placed C.J. Fiedorowicz (concussion) on injured reserve, Aaron Wilson of the Houston Chronicle reports. Analysis: Fiedorowicz joins Ryan Griffin (concussion) on injured reserve, leaving Anderson the expected starter Week 14 against the 49ers, the NFL's 19th-ranked pass defense (231.3 YPG). The second-year tight end, who played wide receiver at Cal with Jared Goff, turned 12 targets last week into five catches, 79 yards and a touchdown. He showed good hands on a beautiful diving catch on 4th-and-19 to extend a fourth-quarter drive. Anderson has the athleticism to be more than just a tight end. 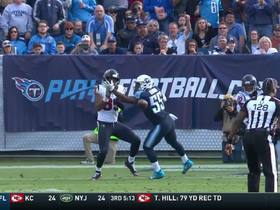 Anderson caught five of a season-high 12 targets for 79 yards and a touchdown in Sunday's 24-13 loss to the Titans. 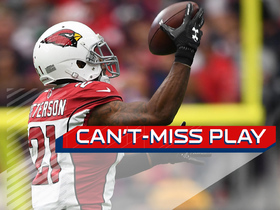 Anderson caught one of three targets for 22 yards in Sunday's 31-21 win over Arizona. Analysis: Anderson's lone catch came on a deep ball early in the fourth quarter that set up a D'Onta Foreman touchdown run. It was the eighth time in nine games that he was held to two catches or fewer. Anderson remains more of a special teams contributor (15 snaps on Sunday) than an offensive weapon (13 snaps on Sunday) behind starter C.J. Fiedorowicz. Anderson caught two of three targets for 30 yards in Sunday's 33-7 loss to the Rams. 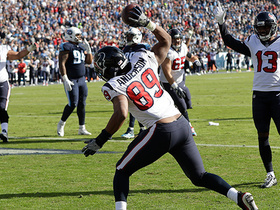 Analysis: Anderson remains an active target for the Texans, who have been dealing with concussion injuries to members of their tight end position group. C.J. Fiedorowicz returned to action Sunday, but Ryan Griffin (concussion) was inactive, leaving Anderson as the team's second tight end for the seventh time in nine games. 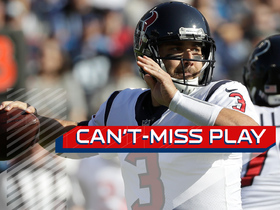 Given the state of the Tom Savage-led offense, it's hard to believe Anderson will produce at fantasy-worthy levels. Anderson had 40 snaps and caught four of six targets for 44 yards in Sunday's 20-14 loss to the Colts. Analysis: Anderson has been serving as the team's second tight end, but was elevated mid-game when Ryan Griffin was pulled due to a concussion. The six targets were a season high and the 44 snaps the most since Week 1. With C.J. Fiedorowicz (concussion) expected back for Week 10, Anderson's time as the lead tight end will come to end. 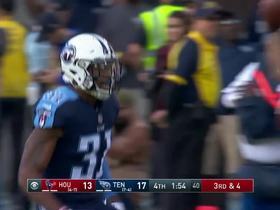 Tennessee Titans safety Kevin Byard uses his length for a huge defensive stop to force fourth down. Tennessee Titans linebacker Jayon Brown makes a huge defensive stop to force field goal which was missed. Houston Texans quarterback tom Savage finds tight end Stephen Anderson for a 4-yard touchdown. Arizona Cardinals cornerback Patrick Peterson picks off Houston Texans quarterback Tom Savage's pass intended for tight end Stephen Anderson. 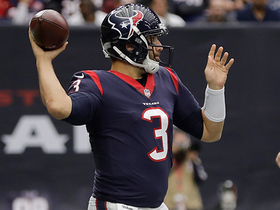 Houston Texans quarterback Tom Savage throws to tight end Stephen Anderson for 22-yard gain. Seattle Seahawks cornerback Richard Sherman jumps the route to pick off Houston Texans rookie QB Deshaun Watson. 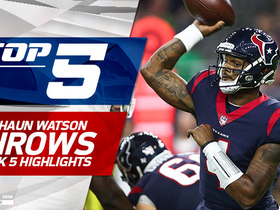 Houston Texans quarterback Deshaun Watson's top play in his Week 5 matchup up against the Kansas City Chiefs. 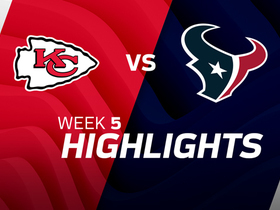 Watch to see the best play from the Week 5 Sunday night matchup between the Kansas City Chiefs and the Houston Texans.